Nine (9) members of the Surrey County Cricket Club Academy accompanied by three (3) coaching staff, are now back in England having completed a successful 4-day training camp between Saturday 16th – Wednesday 20th February at Desert Springs Resort, Europe’s only international award-winning luxury family resort and championship desert golf course with its very own dedicated Cricket Ground and Academy, in the Almanzora region of Almeria, Andalucía in south-east Spain. Grass net practice, both bowling and batting, Out-field practice, strength and conditioning work, running, speed and agility work all took place at the Cricket Academy. The squad utilised the Gym at the Sierra Sports Club for specific fitness sessions. “A sensational week all round, thank you Desert Springs!” Nico Reifer. “Fantastic facilities and great accommodation.” Nathan Barnwell. “A great week of training at a great venue, the weather was beautiful!” Sean Hunt. “A brilliant resort, perfect for this time of year to be able to train outside in the sunshine!” Anneesh Jhalla. 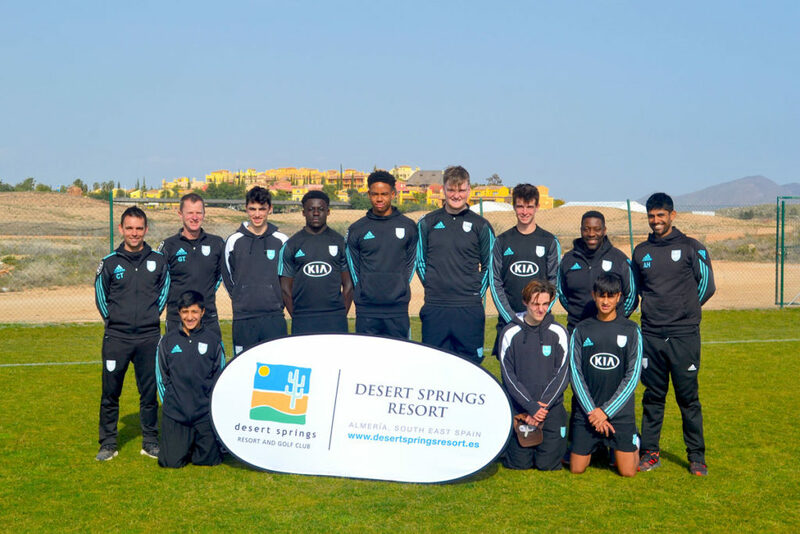 Surrey County Cricket Club have selected Desert Springs Resort to be the base for their Academy players to step up their preparations for the forthcoming 2019 season by completing a four (4) day warm weather training camp at the Desert Springs Cricket Ground & Academy between Saturday 16th – Wednesday 20th February 2019. The primary focus of the Surrey Academy & Performance Department is to promote the highest quality of performance on an individual and team basis in order to develop cricketers to play for Surrey and England. The best players are then selected into the Pemberton Greenish Surrey CCC Academy from which 13 graduates are currently part of Surrey’s CCC professional staff. 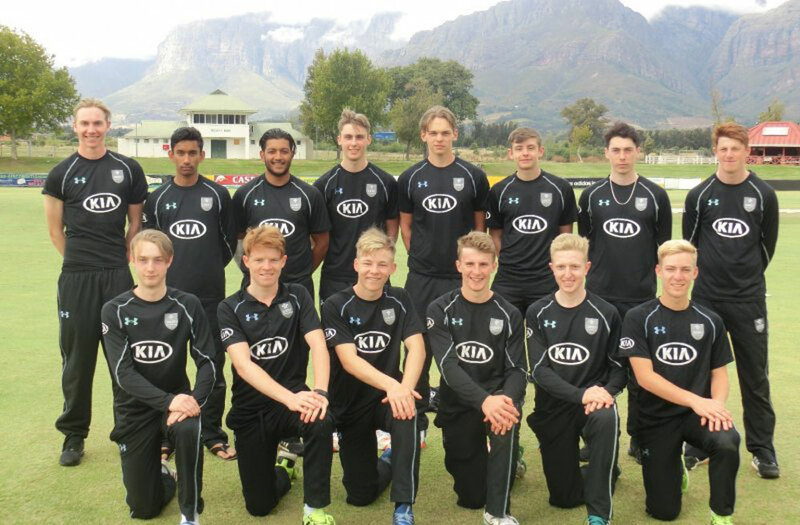 The Surrey CCC Academy training camp will comprise eight (8) players between 16 – 19 years of age and three (3) coaches, all of whom will be spending their time completing a specific and carefully planned programme of numerous training sessions each day covering technical skills, bowling and batting, strength and conditioning and both individual and group activity. Grass net practice, both bowling and batting will take place at the Cricket Academy. Strength and conditioning work, running, speed and agility work will be completed at the Cricket Ground and Gym at the Sierras Sports Club. The players and coaches will be accommodated in some of the privately-owned Apartments at Desert Springs and the resort’s executive chef will be on hand to cater for the special dietary requirements of individual players dining in the Crocodile Club Restaurant.